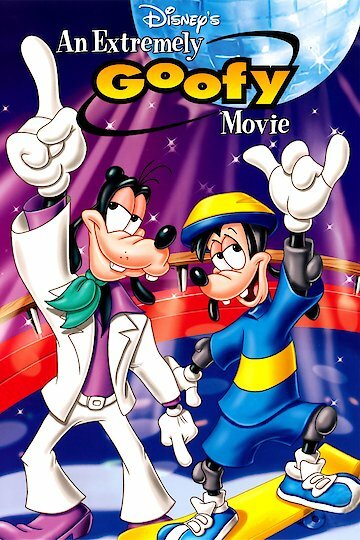 An Extremely Goofy Movie is the sequel to the much acclaimed straight to video A Goofy Movie. In this lighthearted animated film, Goofy has mixed feelings about raising his children and letting them move on to bigger and better things, namely college. Goofy's eldest son Max is preparing for his first year of college and Goofy becomes overwhelmed with emotion until he realizes there is a way that he can give his son the freedom to attend college away from home and still be near his beloved firstborn. So, Goofy enrolls in the same college! Almost instantly, Max is humiliated by his father being on the same campus. Meanwhile, Goofy is completely unaware of his bumbling ways and how they affect his son and those around him. An unexpected turn of events soon has things shifting in a much different direction. Goofy manages to win over his new found college friends, the educators, and most importantly, his son. An Extremely Goofy Movie is currently available to watch and stream, download, buy on demand at Netflix, Amazon, Vudu, Google Play, FandangoNow, iTunes, YouTube VOD online.